Victorious in Christ. We are, victorious. Have you really pondered the fact that we have a 24-hours-a-day-7-days-a-week enemy and yet are continually renewed in Christ day-by-day? We are despised and plotted against, yet the love and grace we received the moment we said yes to Jesus is so powerful and transformational, we can trust in it wholeheartedly. We are saints. I was praying for some of my dearest friends the other day, when the Lord brought to my heart the fact that as much as I am holy, chosen, and loved... so are they. Their "standing" in the kingdom of God is saint. By God's standards, they are saints. Whether they greet me with a holy kiss or a dirty look, whether they are feeling weighted by sin or freed by grace that day, they are saints. When I interact with other believers, I should view and treat them as people whom are holy, chosen, and loved. For though the enemy does all in his power to cause us to sin against one another and damage relationships, he does not stand a chance. When we view others and ourselves by our standing, and not by our sin, victory is claimed. 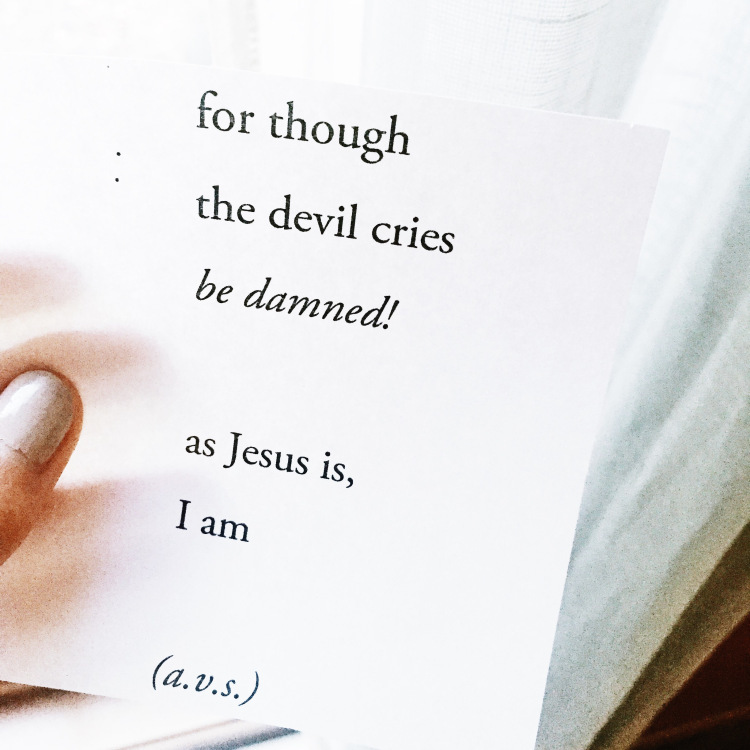 The devil cries, "be damned!" Yet we are redeemed more and more each day. As He is, we are.